Tag Archives for " Danny Groner "
Thursday is guest post day here at Duct Tape Marketing and today’s guest is from Danny Groner – Enjoy! You’re probably familiar with gifs. You see them in stray articles on social-media-minded sites like BuzzFeed. They are playful and lighthearted. And when you’re in the mood for that, they can really hit home. But as the lines between entertainment and marketing continue to blur, the techniques for one are starting to find their way into the other. After all, what works, works. All kinds of experimental native advertising are popping up in unexpected places. Right now, we’re living through a time of transition and exploration that may frighten some but excite others. Gifs are the natural next area for small business owners and marketers to conquer. There are a number of different ways to incorporate them into your materials and your website. For example, some companies, on the About Us pages of their sites, are going in a slightly different route than the traditional one. Take a look at what your competitors and other companies have written in that space; these pages are full of unthoughtful writing and wasted space. Plus, many are chock full of professional-sounding jargon that doesn’t mean much of anything. Now, consider what others are saying about themselves, their companies, and their approaches to customer service with the inclusion of some motion graphics and gifs. They are giving off the clear impression that they’re digitally-savvy and in touch with modern trends. Instead of a picture of their employees sitting together and smiling, they have gifs showing them hanging out and having fun. Pictures don’t deliver the same punch that gifs can. But that’s just a small opening. 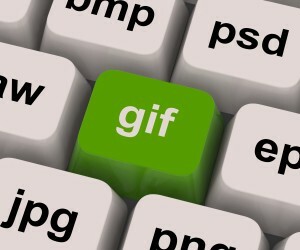 There are bigger and better ways to make a solid impression through gifs. Content marketing, the hottest form of marketing this day and age, is pretty much whatever you make of it. It’s so open-ended by design that you can put your own staple on your projects. But this isn’t as simple as just turning a photo into a rotating series of them. You’ll want to start with a brainstorm about what your customers expect from you and how content marketing can add value to their experience with your company. What’s most important to remember, though, is that people have preconceptions about what gifs are and what they do. They fall into the sillier side of the marketing you’ll do, and there’s room to maneuver there without sullying the service you offer. Once you have identified the direction you want to go in, and what emotion the content is aiming to evoke (happiness or something else), you can get started with the content creation. Content marketing can be shared on social media, or it can exist for social media. With the advent of and addition of Vine and Instagram video to your social media repertoire, you can try things out. These platforms are built along similar lines as gifs, which you can use to your advantage. If someone on your staff has a good idea, let them test it out on Instagram and see how it resonates with your audience. Then take what you see is working and apply the methods and messages elsewhere. Everything you do for digital marketing should convey a certain consistency of your brand. Start by thinking like a consumer and what he or she is interested in when not at work. Appeal to that sentiment. Every company is trying to show consumers that they are similar to them. Gifs can help you get there fast. 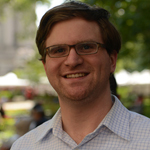 Danny Groner is the manager of blogger partnerships and outreach for Shutterstock. He encourages everyone to consider how they achieve visual storytelling in the age of desktop editing and publishing.